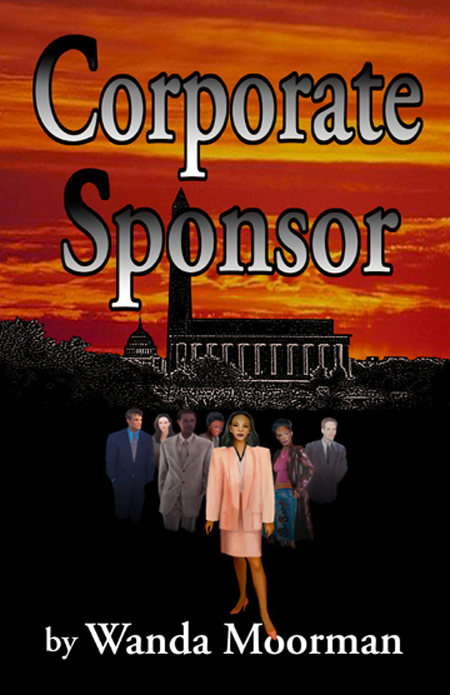 Using the theme of the new welfare reform legislation, Corporate Sponsor is a novel about people and their behavior in the workplace. It entwines office politics with selfish ambitions, treachery, loyalty, perseverance and love. The setting is Washington, D.C., where two rival firms – Stapleton Enterprises and McPherson-Ferris – are pitted against one another in fierce competition to obtain welfare reform contracts. Embroiled in this competition is Kimberly Keaton, Stapleton’s Director of Business Development and a primary player in the corporate hierarchy. Kimberly must use all of her resources, including business acumen and allies, to get a key proposal to the city of Philadelphia on time. The challenge is heightened with intrigue and conspiracy, with Kimberly trying to outmaneuver two ambitious and ruthless employees within her own company. As the deadline draws near, the countdown continues with a harrowing drive up I-95. It’s a high-stakes game of survival, which will eliminate either Kimberly or her adversaries! Angela Austin, a successful black gynecologist in Washington, D.C., is a native of Philadelphia. After working in an inner city Philadelphia public health clinic for seven years, Angela moved to Washington, D.C. to begin her private medical practice. Devoting her full time, attention and efforts in building her private practice, Angela meets Steven McMillian, a surgeon at Ruby Memorial Hospital in Washington, D.C., and one of the top black surgeons in the country, at a medical conference in New Orleans. Steven invited Angela out to dinner every evening they were at the conference and was initially all a woman could want--kind, caring, thoughtful, attentive. Angela falls in love with him, things drastically changed. Steven becomes chief surgeon at Ruby Memorial, but not without controversy. Divorced father to 12-year old daughter, Autumn, his ex-wife, Melinda, is ever-present in his life to finance her extravagant lifestyle. In addition, Steven is a womanizer, is subtly promiscuous and isn’t serious about anyone. His promiscuous lifestyle unravels when his secret relationship with the head ER nurse at Ruby Memorial, Judy Edwards, is disclosed. As it turns out, Judy is not the only behind-the-scenes relationship Steven has had. As Angela begins to see Steven for what he really is, she draws on her spirituality, strong family ties and belief in love that allows her to be receptive to a new relationship. Angela refuses to allow herself to wallow in her sorrows, and with the help of her family and friends, coupled with the surprising courage to love again, she stands firm in her decision to end her relationship with Steven. 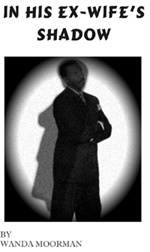 Kenneth Bradley is a 50-year-old divorced investment banker who met Angela under unusual circumstances. While Angela wasn’t initially focused on another relationship, Kenneth was someone she was subconsciously attracted to. On the other hand, Kenneth was immediately attracted to Angela and in an effort to get acquainted, invited her to jog. That acquaintanceship was the beginning of what would become the key to Angela’s resilience and recovery from her relationship with Steven. Realizing he has lost a good woman, Steven attempts to win Angela back through a series of unsuccessful, out of character attempts, forcing Angela to turn him down in Kenneth’s presence. In His Ex-Wife’s Shadow is set in Washington, D.C. with strong ties to Philadelphia. It is humorous, serious, happy and sad, but most of all, it brings out the emotional adversities in relationships, while simultaneously leaving readers with a sense of hope, climaxing in an unexpected ending. Copyright © 2003 Wanda Moorman. All rights reserved.